Have a case of the Mondays? 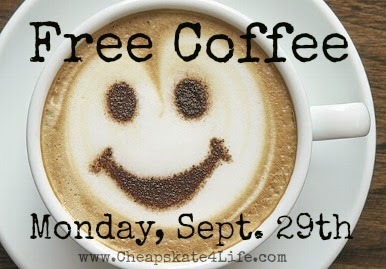 September 29th is "National Coffee Day" which means you can score free or cheap coffee to keep you awake! Dunkin’ Donuts: Free medium cup of Dark Roast Coffee on September 29. Then from September 30 to October 5, get a medium size Dark Roast for the special price of 99¢. 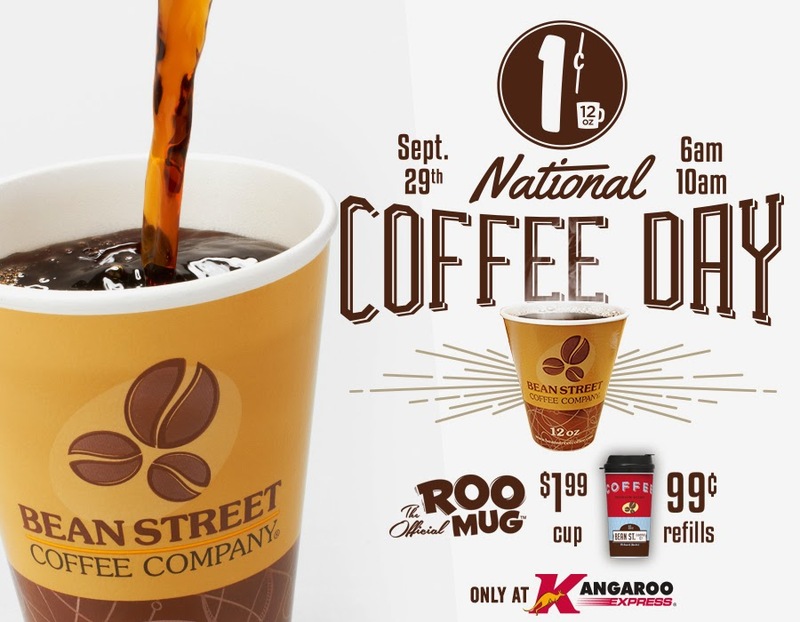 Kangaroo Express: A 12 oz. cup of Bean Street Coffee costs just 1¢ from 6 - 10 a.m. on Monday. Krispy Kreme: Free cup of 12 oz. coffee, or get $1 off a mocha, latte, or ice coffee. McDonald’s: Free small McCafé coffee from 9/16 - 9/29 during the location’s breakfast hours—generally from around 7 a.m. to 10:30 a.m.
Peet’s Coffee & Tea: Participating stores are giving free samples of coffee and espresso, and all beverages are available on a buy-one-get-one-free basis; also, bags of coffee (ground or whole bean) are discounted by $2 apiece at Peet’s on Monday. Tim Horton’s: Any size coffee costs $1 from September 22 to 29. Do you know of any other National Coffee Day deals? Let us know in the comments below!